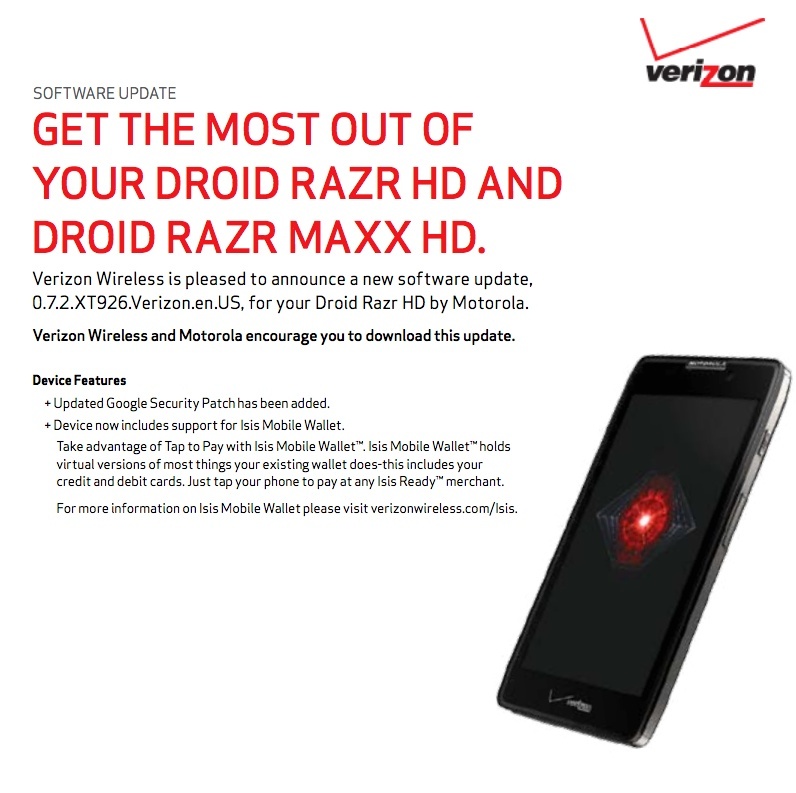 About an hour ago, Verizon updated the support doc for the DROID RAZR HD 0.7.2 update to include a mention of Isis Mobile Wallet. As was expected, the RAZR HD and MAXX HD were to be “Isis ready” shortly after launch, and this update makes that happen. Nothing else changes in the update, as it is still 6MB. We should point out that if you are not in Salt Lake City, UT or Austin, TX, that the Isis piece to this update means very little. Those are the only two markets that currently support Isis.